The Dutch government apologized on Monday for discounting the dangers from earth tremors caused by natural gas extraction in the northern province of Groningen just weeks after a report blamed the government and energy companies for ignoring the dangers. 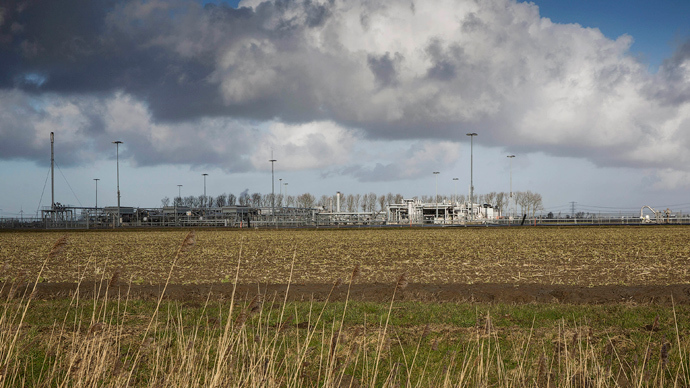 The climb down by the Dutch authorities follows a report by the independent Safety Board which was released on February 18, and clearly blamed gas extraction at the Groningen field for earth tremors in the region. Although the link between gas extraction in the Groningen field and earthquakes in the area was proved in 1993, it was not recognized that they posed a risk to residents until 2013. The report found that the Dutch Economy Ministry, the State Supervision of Mines and the Shell-Exxon Mobil (NAM) joint venture which operates the gas field all worked together to maximize production and ignored safety. “The parties concerned considered the safety risk to the population to be negligible and thus disregarded the uncertainties surrounding this risk assessment,” and “failed to act with due care for citizen’s safety in Groningen,” the report said. On Monday the Economic Affairs Minister Henk Kamp finally issued an apology. “I am very sorry that the safety interests of Groningers did not receive the attention they deserved, safety will now come first,” he said. As far back as 2012, after an earthquake registered 3.6 on the Richter scale, regulators warned the government that gas production should be cut to ensure citizens safety. But the government only ordered production to be cut in 2014 and then only by a bit. Production was eventually cut by 16.5 cubic meters (bcm) in the first half of 2015. However, the issue is threatening to become a political football ahead of provincial elections on March 18. Kamp has said that production could be reduced by as much as 35 bcm annually and the Netherlands would still be able to fulfill its delivery contracts. Opposition parties, which are expected to take control of the senate from the ruling coalition, are pushing for an annual cap in Groningen of 30 bcm. Meanwhile the NAM consortium, which operates the field, has said that it is funding building improvements in 8,000 houses and inspecting a further 15,000. The Dutch parliament heard a week before the report was released that the cost of repairs to buildings damaged by earthquakes is estimated to be 6.5 billion euros with around 35,000 homes affected. Seventy-five percent of Dutch gas exports came from the Groningen field in 2012. Dutch gas accounts for around 12 percent of Europe’s demand at nearly 57.3 bcm, Reuters reported. The field is expected to produce gas for another 50 years.